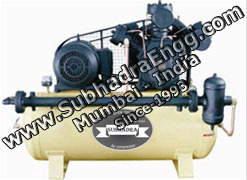 Established in the year 1993, we, “Subhadra Engineering”, are one of the eminent manufacturers, traders, suppliers and exporters of an array of Compressor Parts. 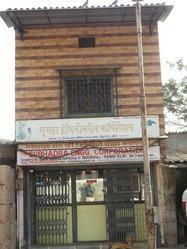 The organization is based at Mumbai, Maharashtra (India). The brand name of "Subhadra " was coined in the year 2005. Moreover, in the same year, we also started offering our valued clients Air Compressors & Vacuum Pumps in the range from 1 to 60 HP. Our organization is facilitated with all the modern in house facilities for fabrication & testing of our products. Owing to the quality & reliability our products are demanded across the world including East Asia, Central America, North Europe, Middle East, South America, South/West Europe, South East Asia and North America. We also have a team of dedicated & committed professionals, which has long years of experience in its domain. Moreover, the organization aims at growing & achieving maximum client satisfaction, with the help of quality improvement and product development. In addition to all this, we are also providing installation services to our clients. We owe our success to our Managing Director, “Mr. Chandrakant Jadhav”. He is a technocrat & visionary, having more than two decades of progressive experience in the domain. With the assistance of our professionals, he aims at meeting the organizational goals within the stipulated time frame. Trading in - Compressor Parts - Air Compressor. / Screw Compressor. 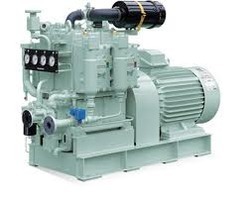 / Refrigeration Compressor / Chilling Compressor / Marine Compressor. 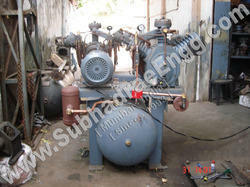 Over the years, we have associated ourselves with some of the reputed manufacturers of Compressors Parts. Owing to the quality, our products are demanded not only in India, but also in International market. 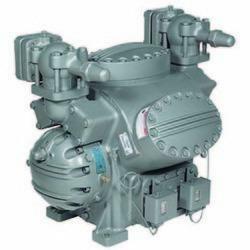 Our array of Screw Compressors Replacement Parts is procured from Ingersoll-Rand, ELGI, Atlas–Copco, CP, Kirloskar, Khosla and Kaser. In addition to this, all our Refrigeration Compressors Replacement Parts are sourced from Voltas, Carrier, Grasso, Kirloskar, Sabore, ACCELl, York, Bitzer, Bock, Daikin, Batliboi, Alfa Laval, Stal, Trane, Gram, Mycom, Vilter, Copland, Worthington, McQuay & Thermoking and Marine Compressors Replacement Parts from Hamworthy, Hatlapa, Sperre and Tanabe. We have a diligent team of professionals, with the help of which, we have been able to achieve global recognition. Their dedicated and committed efforts are directed towards achieving maximum client satisfaction. With the help of long years of experience, we are able to fabricate an exclusive range of industrial machinery and compressors. Moreover, we also train the professionals to improve their skills and efficiency. We are also engaged in carrying various research practices that helps us in comprehending the market dynamics. Owing to our ethical and transparent business policies, we have been able to win over the trust of our valued clients. With the help of all this, we aim at making new clients and maintain cordial relations with the older ones. 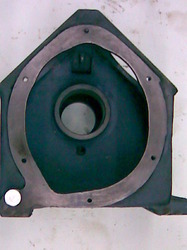 It is made sure that the range is fabricated in adherence with the demands and requirements laid down by the clients. Moreover, we also pack the consignments as demanded by the clients.